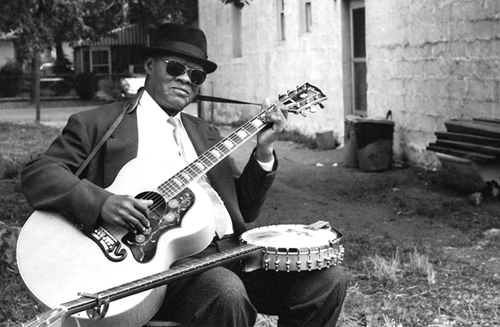 The Reverend Gary Davis was born in Laurens, South Carolina, on April 30, 1896. He died in Hammonton, New Jersey, on May 5, 1972. In between, he become one of the most protean guitar players of the twentieth century, and his finger-picking style influenced everyone from Bob Dylan and the Grateful Dead to Keb’ Mo’ and Blind Boy Fuller. Born partially blind as the sole surviving son to two sharecroppers in the Jim Crow South, by the 1940s, Davis, ordained as a Baptist minister, was playing on Harlem streetcorners and storefronts, making his living as an itinerant, singing gospel preacher. By the beginning of the 1960s folk revival, he had moved in circles that included Lead Belly and Woody Guthrie, recorded a series of albums for Prestige Records, and been embraced by a generation of educated, middle-class young people eager for fodder to spur a folk revival. See his performance at the 1965 Newport Folk Festival for further illumination of this cultural congruence. Even before his death in 1970, he was the subject of two documentaries. Davis’s legacy, however, still exists outside a canon that has acknowledged his peers, including Muddy Waters and Robert Johnson—his music, like his troubled life, is the stuff of myth, and as . 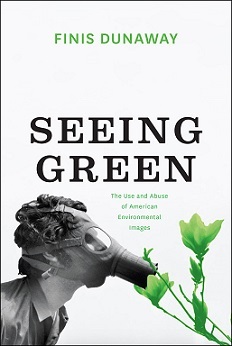 . .
An excerpt from Seeing Green: The Use and Abuse of American Environmental Images by Finis Dunaway *** “The Crying Indian” It may be the most famous tear in American history. Iron Eyes Cody, an actor in native garb, paddles a birch bark canoe on water that seems at first tranquil and pristine but becomes increasingly polluted along his journey. He pulls his boat from the water and walks toward a bustling freeway. As the lone Indian ponders the polluted landscape and stares at vehicles streaming by, a passenger hurls a paper bag out a car window. The bag bursts on the ground, scattering fast-food wrappers all over his beaded moccasins. In a stern voice, the narrator comments: “Some people have a deep abiding respect for the natural beauty that was once this country. And some people don’t.” The camera zooms in closely on Iron Eyes Cody’s face to reveal a single tear falling, ever so slowly, down his cheek (fig. 5.1). This tear made its television debut in 1971 at the close of a public service advertisement for the antilitter organization Keep America Beautiful. Appearing in languid motion on television, the tear would also circulate in other visual forms, stilled . . .
Now in their 39th year, the PROSE Awards honor “the very best in professional and scholarly publishing by bringing attention to distinguished books, journals, and electronic content in over 40 categories,” as determined by a jury of peer publishers, librarians, and medical professionals. As is the usual case with this kind of acknowledgement, we are honored and delighted to share several University of Chicago Press books that were singled-out in their respective categories as winners or runners-up for the 2015 PROSE Awards. *** Kurt Schwitters: Space, Image, Exile By Megan R. Luke Art History, Honorable Mention *** House of Debt: How They (and You) Caused the Great Recession, and How We Can Prevent It from Happening Again By Atif Mian and Amir Sufi Economics, Honorable Mention *** American School Reform: What Works, What Fails, and Why By Joseph P. McDonald Winner, Education Practice *** The Public School Advantage: Why Public Schools Outperform Private Schools By Christopher A. Lubienski and Sarah Theule Lubienski Winner, Education Theory *** Earth’s Deep History: How It Was Discovered and Why It Matters By Martin J. S. Rudwick Honorable Mention, History of STM *** The Selected Poetry of Pier Paolo Pasolini: A Bilingual Edition By Pier Paolo . 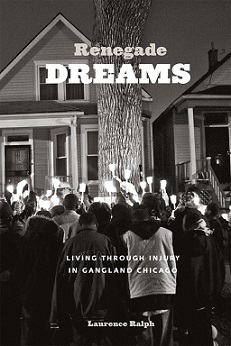 . .
An excerpt from Laurence Ralph’s Renegade Dreams: Living through Injury in Gangland Chicago *** “Nostalgia, or the Stories a Gang Tells about Itself” At the West Side Juvenile Detention Center, inmates hardly ever look you in the eyes. They almost never notice your face. Walk into a cell block at recreation time, for example, when young gang members are playing spades or sitting in the TV room watching a movie, and their attention quickly shifts to your shoes. They watch you walk to figure out why you came. I imagine what goes through their heads: Navy blue leather boots, reinforced steel toe, at least a size twelve. Must be a guard. That’s an easy one. Then the glass door swings open again. Expensive brown wingtips, creased khakis cover the tongue. A Northwestern law student come to talk about legal rights. Yep. Benjamin Gregory wears old shoes, the kind a young affiliate wouldn’t be caught dead in. Still, the cheap patent leather shines, and, after sitting in the Detention Center’s waiting room for nearly an hour and a half, the squeak of his wingtips is a relief. It’s a muggy day, late in the spring of 2008. “I’ve been coming here . 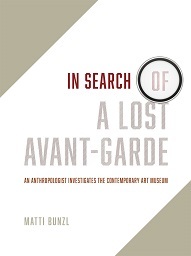 . .
An excerpt from In Search of a Lost Avant-Garde: An Anthropologist Investigates the Contemporary Art Museum by Matti Bunzl *** “JEFF KOONS <3 CHICAGO” I’m sitting in the conference room on the ﬁfth ﬂoor of the MCA, the administrative nerve center which is off limits to the public. It is late January and the temperatures have just plunged to near zero. But the museum staff is bustling with activity. With four months to go until the opening of the big Jeff Koons show, all hands are on deck. And there is a little bit of panic. Deadlines for the exhibit layout and catalogue are looming, and the artist has been hard to pin down. Everyone at the MCA knows why. Koons, who commands a studio that makes Warhol’s Factory look like a little workshop, is in colossal demand. For the MCA, the show has top priority. But for Koons, it is just one among many. In 2008 alone, he will have major exhibits in Berlin, New York, and Paris. The presentation at the Neue Nationalgalerie is pretty straightforward. Less so New York, where Koons is scheduled to take over the roof of the Metropolitan Museum, one of the city’s premiere . 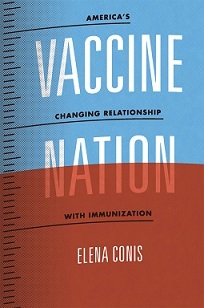 . .
An excerpt from Vaccine Nation: America’s Changing Relationship with Immunization by Elena Conis (recent pieces featuring the book at the Washington Post and Bloomberg News) *** “Mumps in Wartime” Between 1963 and 1969, the nation‘s flourishing pharmaceutical industry launched several vaccines against measles, a vaccine against mumps, and a vaccine against rubella in rapid succession. The measles vaccine became the focus of the federally sponsored eradication campaign described in the previous chapter; the rubella vaccine prevented birth defects and became entwined with the intensifying abortion politics of the time. Both vaccines overshadowed the debut of the vaccine against mumps, a disease of relatively little concern to most Americans in the late 1960s. Mumps was never an object of public dread, as polio had been, and its vaccine was never anxiously awaited, like the Salk polio vaccine had been. Nor was mumps ever singled out for a high–profile immunization campaign or for eradication, as measles had been. All of which made it quite remarkable that, within a few years of its debut, the mumps vaccine would be administered to millions of American children with little fanfare or resistance. The mumps vaccine first brought to market in 1968 was developed by Maurice Hilleman, . . .
Our free e-book for February is Christopher Kemp’s idiosyncratic exegesis on the backstory of whale poop, Floating Gold: A Natural (and Unnatural) History of Ambergris. *** “Preternaturally hardened whale dung” is not the first image that comes to mind when we think of perfume, otherwise a symbol of glamour and allure. But the key ingredient that makes the sophisticated scent linger on the skin is precisely this bizarre digestive by-product—ambergris. Despite being one of the world’s most expensive substances (its value is nearly that of gold and has at times in history been triple it), ambergris is also one of the world’s least known. 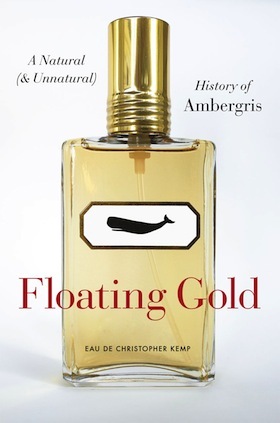 But with this unusual and highly alluring book, Christopher Kemp promises to change that by uncovering the unique history of ambergris. A rare secretion produced only by sperm whales, which have a fondness for squid but an inability to digest their beaks, ambergris is expelled at sea and floats on ocean currents for years, slowly transforming, before it sometimes washes ashore looking like a nondescript waxy pebble. It can appear almost anywhere but is found so rarely, it might as well appear nowhere. Kemp’s journey begins with an encounter on a New Zealand beach with a . . .